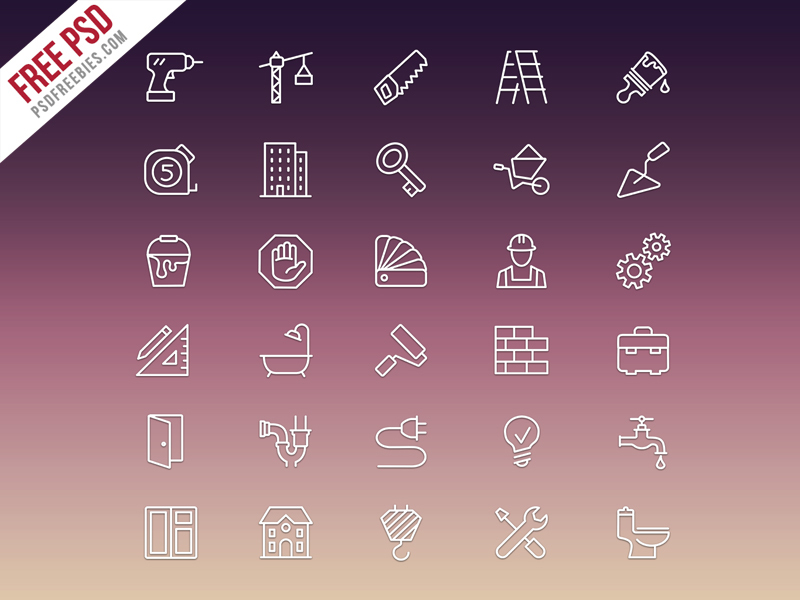 Download Construction Icons Set Free PSD. These Construction Icons used for steel business, construction, mechanical, and engineering work effective to use for Info graphics, banners, logos, email marketing, Business Card & for website designing and many others. Icons Pack are easy to edit and customize and scalable to any size you need.